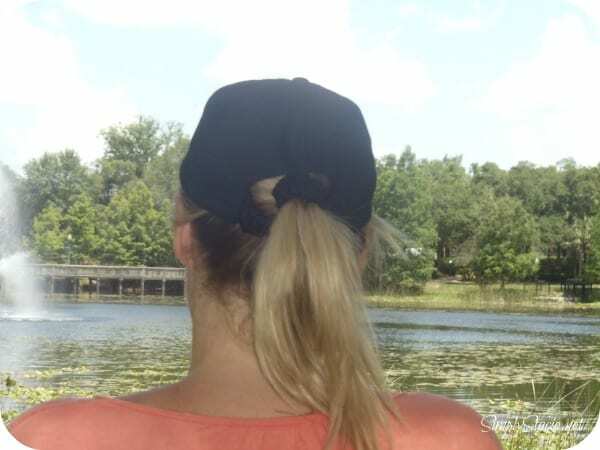 I would always get frustrated when trying to wear my husband’s cap because it would not fit around my pony tail. 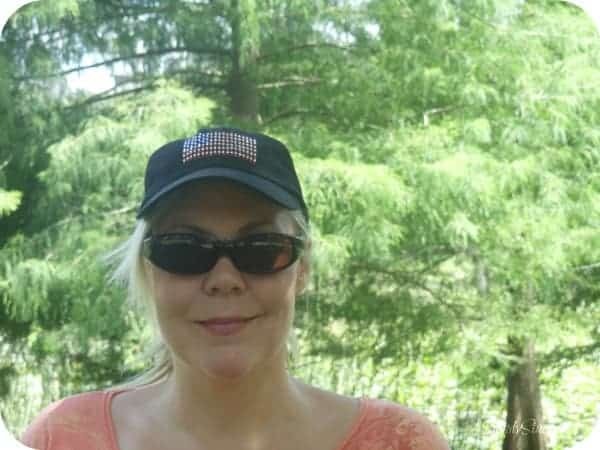 Living in Florida, I would like to wear a hat outdoors especially in the summer heat but it is not always practical to wear a brimmed sun hat so a cap would be the best option. Thankfully, I discovered the Scrunchie Cap® which is an ingenious design that combines a cap with a built-in scrunchie! It is very stylish and feminine and so easy to put it on. In seconds my hair is pulled back and covered by my cap and I am ready for outdoor fun. All I had to do was wrap my hair into a pony tail and hold it in my hand. Then I place the Scrunchie Cap® ($14.95) on my head and pull my pony tail through the scrunchie, twist and wrap and “voila”. Scrunchie Cap® is available in a variety of fashionable colors and styles. The black cap with the American flag on it is my favorite hat and it got many compliments when I wore it to Memorial Day activities and plan to wear it for the 4th of July too. You are invited to visit Scrunchie Cap® to pick out your favorite cap. I really love mine and plan to get a few more colors to coordinate with all of my summer outfits. I love the tangerine color. This is sooooo cool! I’d love to win this for my daughter. She wears hats all the time. She’s always complaining how her pony tail barely fits through the back of her hat. She’d like black. Thanks for the cool giveaway! This would be great to have! I have 4 horses and I always have my hair pulled back in a cap when I’m around them. The last thing I need is to have the wind blow my long hair in my face so I can’t see, it would not be a good situation for me or the horses. This is a brilliant idea!! I would like it in putty. I think it’s exactly what I need for my daughter. I would like the black Scrunchie cap. What a great idea! I like the red Scrunchie cap. Oh , periwinkle is my favorite! I like Periwinkle best. Red is my 2nd favorite! I would like the black cap best!